Click on the tabs below to read news about previous and upcoming international events! 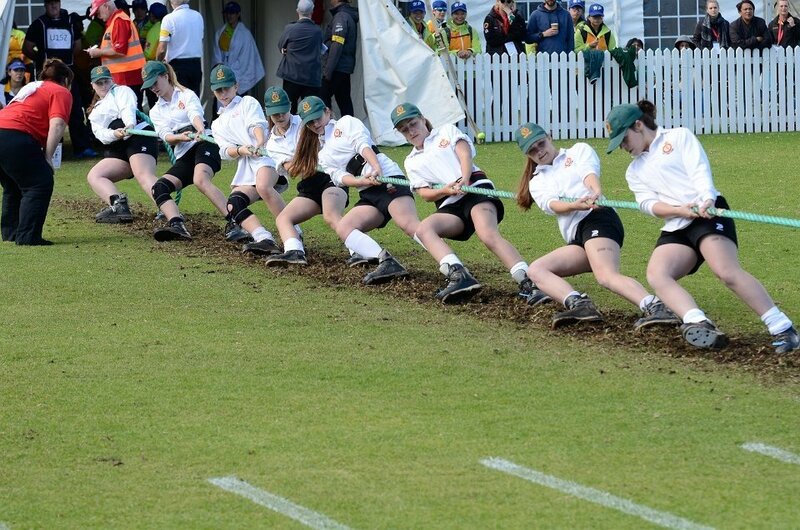 Vote for Tug of War in the World Games Athlete / Team of the Year Awards! Tug of war is once again on the shortlist on the World Games athlete / team of the year awards! Voting opens on 1st January and you can vote via the link below. Everyone can register a vote every day, so please remember to make sure that you visit the World Games web site every day to register your vote and help maintain and increase the standing of our sport on the international stage. Happy voting! All teams are encouraged to take part, including established clubs, military, cadet and young farmers teams. If you have any questions about this event, then please do not hesitate to contact us! World Outdoor Tug of War Championships - Video Highlights! 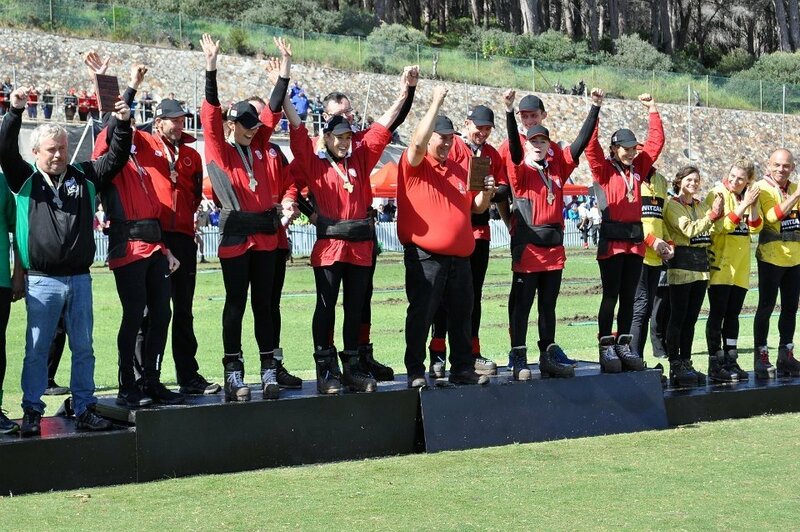 Click the video below to watch highlight coverage from the 2018 World Outdoor Tug of War Championships held in Cape Town, South Africa in September. It features all of the medal pulls from the closed events and some interviews with organisers, coaches and pullers. 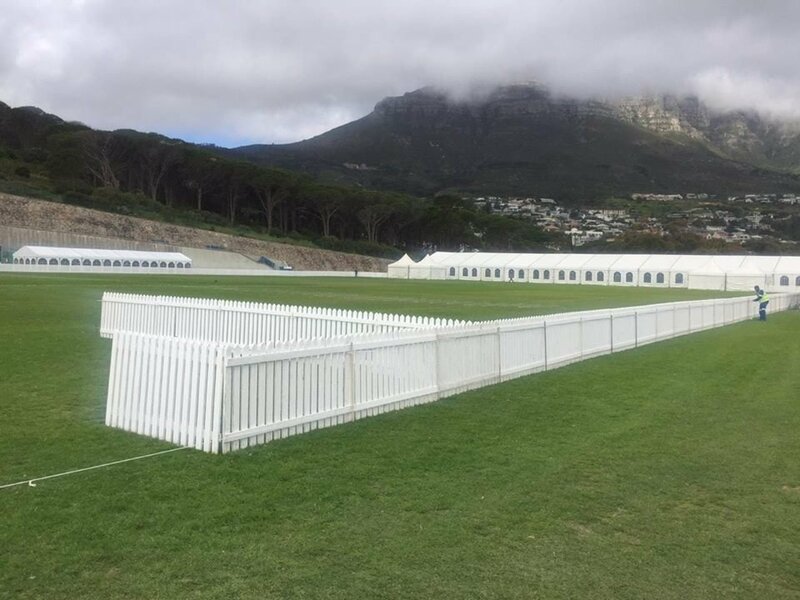 The England teams have returned home from a very successful world outdoor tug of war championships held in the wonderful setting of Camps Bay, Cape Town, South Africa, with the magnificent Table Mountain forming the backdrop of a fantastic competition. The first two days of the event saw the world club championships take place. On the first day of competition, English teams competing were Kilroe and Bedford. Both of these clubs competed in the mixed 580kg (where teams each consist of 4 men and 4 ladies), and they also competed in the ladies 500kg division. The mixed 580kgcompetition was the first weight class of the championship, with the competition being slit into groups, with the top 2 teams from each group progressing to the knock out stages. Bedford finished third in their group, so missed out on a place in the knock out stages, however Kilroe progressed unbeaten to the semi finals where they met Huere from the Netherlands. A good 2 ends to 0 win saw Kilroe progress to the final where they met Eibergen from the Netherlands. In the final, Kilroe won the gold medal by 2 ends to 0, with ends lasting 2 minutes 23 and 1 minute 21 respectively meaning that Kilroe are now World and European club champions in this weight class. Congratulations! In the afternoon of the first day, more medals came the way of English clubs in the ladies 500kg competition. Bedford Ladies and Kilroe Ladies were in action in this weight class, with both teams being drawn into different groups. The top two teams from each group progressed to the knock out stages with Bedford progressing top of their group and Kilroe Ladies progressing in second place in their group. Both teams ended up meeting in the semi finals, meaning that English clubs were guaranteed at least a silver medal. It was a closely fought semi final which went to three ends, with Kilroe eventually progressing to the final. In the bronze medal pull, Bedford were up against Sins from Switzerland. These two teams had met previously in the group rounds with that pull going 1-1. In this match, Bedford had another 3 end battle on their hands, and battled really hard to overcome Sins from Switzerland by 2 ends to 1. A great effort. In the final, Kilroe were up against Ayrshire from Scotland. These two teams met in the final of the European 520kg competition in 2017 where Ayrshire became European Champions. On this occasion, Kilroe were unable to add a second gold medal of the day, but reaching two World finals in the space of a few hours is a great achievement. Congratulations to Kilroe and Bedford Ladies on their achievement in this weight class. Great results for ladies tug of war! The second day of competition saw Team ACF compete in the Junior mixed 520kg competition with an A and B team, and in addition, they had a team competing in the under 23 ladies 500kg competition, and Felton Eccles competed in the mens 640kg competition. In the Under 23 competition, Team ACF found it tough and unfortunately did not make it past the group stages, however they gained good experience from the competition. In the junior mixed competition, both the ACF A and B teams competed well to finish 9th and 11th respectively overall. The mens 640kg competition saw Felton Eccles competing in a very tough group to start with, containing Swiss champions Engelberg – regulars on the top of the international podium in this weight class, as well as a number of good teams from the Netherlands. Despite a defeat to Engelberg and going 1-1 in another match, Felton Eccles managed to progress to the knock-out stages of the competition in second place in the group. Felton Eccles progressed to the semi finals where they met Okia from the Netherlands. This time, Felton could not progress to the semi finals with a chance of a medal after losing out by 2 ends to 0. The first day of the international competition saw England competing in all of the senior mens, ladies, mixed and junior competitions, so it was a very busy day. The World Championships kicked off with the mens 680kg, mixed 580kg, junior men 560kg and junior ladies 480kg, which was held as an exhibition event. In the 680kg competition, England were represented by Felton Eccles in a straight league competition with the top four teams progressing to the semi finals. England’s only defeats in the group came at the hands of Switzerland and the Netherlands, meaning that England progressed in third place along with these two countries and Germany. In the semi finals, England were up against current European Champions at this weight class the Netherlands. The big Dutch team went on to defeat England by 2 ends to 0 to go on to the final meaning that England faced Germany for the bronze after they were defeated by Switzerland. In the bronze medal match, England picked up a good 2 ends to 0 win against Germany secure the bronze medal, meaning that England were off the mark in terms of medals. A second bronze medal soon followed in the Junior Ladies 480kg exhibition competition, with England being represented by Team ACF. In this competition, South Africa and Chinese Taipei were the strongest teams with Taipei winning gold and South Africa taking the silver. The junior mens 560kg team were unfortunately unable to give us another medal in the junior weight classes, finishing 6th overall in a competition that was dominated by Switzerland who took the gold medal. Well done to our juniors for their efforts in travelling to South Africa to compete at the World Championships. In the mixed 580kg competition, England, represented by Kilroe, went into this event as current European Champions. England started the competition well, and progressed through a group of 11 countries unbeaten to reach the semi finals along with defending world champions Sweden, Switzerland and the Netherlands. In the semi finals, England faced the Netherlands, and secured a good 2 ends to 0 win to reach the final, with a silver medal now guaranteed. In the other semi final Sweden overcame Switzerland meaning that the current European champions would meet the current World champions. First, the bronze medal match took place between the Netherlands and Switzerland, which the Netherlands won by 2 ends to 0. In the final, England very much controlled the proceedings, winning the first end in 3 minutes 54, and then took the second end and the world championship gold medal in 1 minute 12. This brought England its first World Championship gold medal since 2004. Congratulations to everyone for this achievement. The afternoon saw the mens 560kg and ladies 500kg competition take place. The mens 560kg competition saw England being represented by a composite team after national champions Norton as a club unfortunately had to withdraw from representing England at the World Championships this year although 4 of their members still formed part of this team. Nonetheless, the composite team competed well in a very tough straight group competition to progress to the semi finals in third place behind Germany and the Basque Country, with Netherlands also progressing to the semi finals. England had a very tough semi final with the defending champions Basque Country with the first end going 7 minutes 17, and the second end 3 minutes 17, with the Basque Country overcoming England to progress to the final. In the bronze medal match, the Netherlands awaited England who didn’t have so much of a battle with Germany with their semi final ends lasting a little over a minute each. Despite England having defeated Netherlands in the group rounds earlier in the day, the tough semi final meant that the Netherlands had more in reserve than England and they took the bronze medal by 2 ends to 0. The final saw surprise package in this weight class, Germany take the gold medal by 2 ends to 0. The ladies 500kg saw England being represented by open club bronze medallists Bedford Ladies. This weight was also run on a straight points competition with the top four teams progressing to the semi finals. England were right in the mix to make the semi finals all the way up to the final round against the Basque Country. Dropped points to other teams in this weight class meant that this pull would decide who would progress in the final semi final spot. Unfortunately England were defeated in their final match to the Basque Country by 2 ends to 0 so missed out on a place in the semi finals and the chance to compete for a medal. The gold medal went to Chinese Taipei, with Switzerland winning silver and Basque Country bronze. The final day of competition saw England competing in the mens 720kg, junior mixed 520kg, Mens 640kg and Ladies 540kg. In the mens 720kg competition, England had a good run in the group to progress to the semi finals in second place. In the semi finals, England were up against the Basque Country, with the first end going to 5 minutes 32 and went to the Basque Country. The Basque Country then went on to take the second end meaning that England would meet host country South Africa for the Bronze. This match went to three ends, with South Africa taking the bronze and England finishing in 4th place. The final was won by Netherlands who defeated Basque Country by 2 ends to 0. 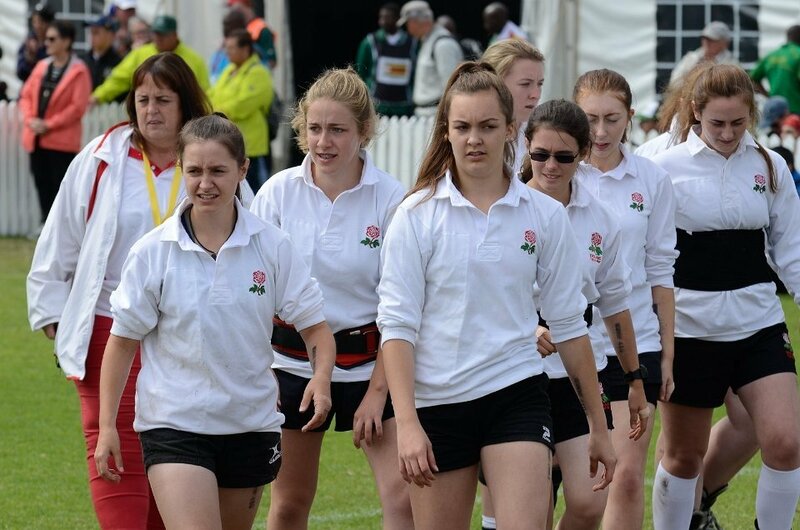 The junior mixed competition saw England taking part with the team reaching the semi finals. In the semi finals, England met Chinese Taipei who won the match by 2 ends to 0. 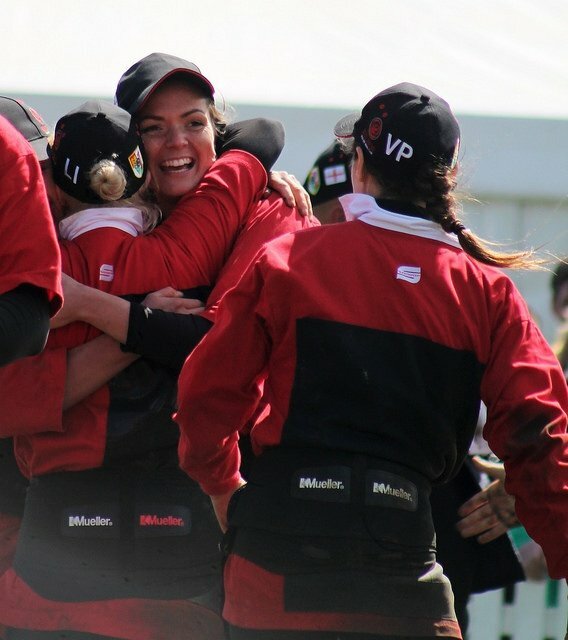 England went into the bronze medal match against Sweden, however Sweden were too strong for England and won the bronze medal by 2 ends to 0, leaving England with 4th place. In the final, Chinese Taipei defeated South Africa by 2 ends to 0. The afternoon weights saw the mens 640kg and ladies 540kg take place. In the ladies 540kg, England were represented by Kilroe Ladies and they got off to a good start by defeating Sweden by 2 ends to 0. England progressed well to finish third in the group overall and progress to the semi finals along with Chinese Taipei, Switzerland and Netherlands. In the semi finals, England met Switzerland and were defeated by 2 ends to 0, so England went into the bronze medal match to face the Netherlands. England competed well to defeat the Netherlands by 2 ends to 0 to take a well earned bronze medal. The final was won by Chinese Taipei who defeated Switzerland by 2 ends to 0. The final weight of the championship was the mens 640kg with England being represented by Lincoln. This weight class was split into two groups, with England being drawn in the same groups as Netherlands, Italy, Basque Country, France and USA. England went through the group undefeated to reach the semi finals along with Netherlands. In the other group, Switzerland and Germany progressed. Both of these teams were on level points, however after the criteria was applied, Germany finished top of the group and Switzerland second. In the semi finals, England were drawn against Switzerland and had a really good match against the Swiss going to three ends. Unfortunately Switzerland took the two ends needed which meant that England would meet the Netherlands for bronze who lost to Germany in the other semi final. England performed strongly to defeat the Netherlands by 2 ends to 0 to take the bronze medal. In the final, Switzerland defeated Germany by 2 ends to 0. The Tug of War Association would like to express our appreciation to all of the teams, pullers and coaches involved in this event, both on the field and behind the scenes. It takes a huge amount of effort to prepare for these types of event as well as the expense of traveling, which we know is a huge challenge when funding is scarce. Thanks also to England team manager Stafford Chipperfield for helping and supporting the teams there (often a thankless task! ), the supporters who cheered the teams on, and friends and families back home who provided the support to get teams here. 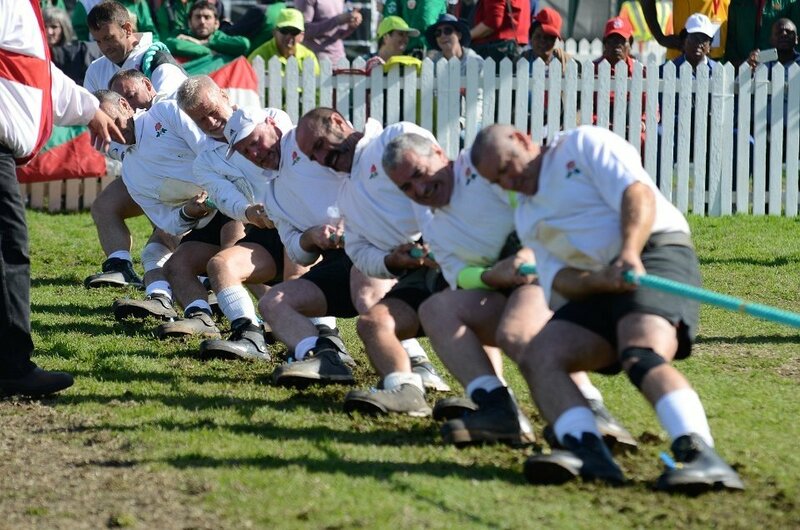 Finally, a huge thank you to our hosts, the South Africa Tug of War Federation. It was another great Championships in a wonderful setting with great organisation and great hospitality. No doubt we will return again in the future! 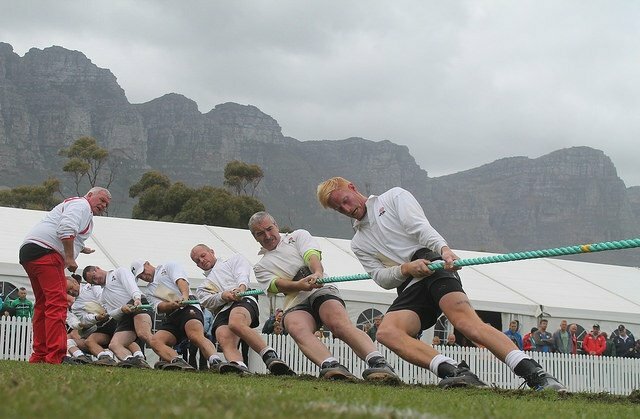 To everyone in the tug of war community out in South Africa - Now the pulling over, enjoy the celebrations, meeting up with old friends, and making new ones! Until next time at GENSB 2019 in Folkestone, England and the 2019 TWIF European Championships in Castlebar, Ireland! England finished off the World Championships by collecting more medals in South Africa on the final day of competition. England finished 4th in the mens 720kg competition, being represented by a composite team. In the afternoon, England picked up two bronze medals, the first coming in the ladies 540kg represented by Kilroe Ladies, and then a good bronze medal in the mens 640kg represented by Lincoln. In the junior mixed 520kg England finished 4th represented by Team ACF. Overall a very good championships for England, and our best for a number of years. What a superb day for the England teams! In the junior competitions first of all, the England Junior Men finished 6th overall. The Junior Ladies 480kg was held as an exhibition competition and the England junior ladies came away with a bronze! In the mens 680kg, England came away with another brilliant bronze medal, defeating Germany 2-0 in the bronze medal match. 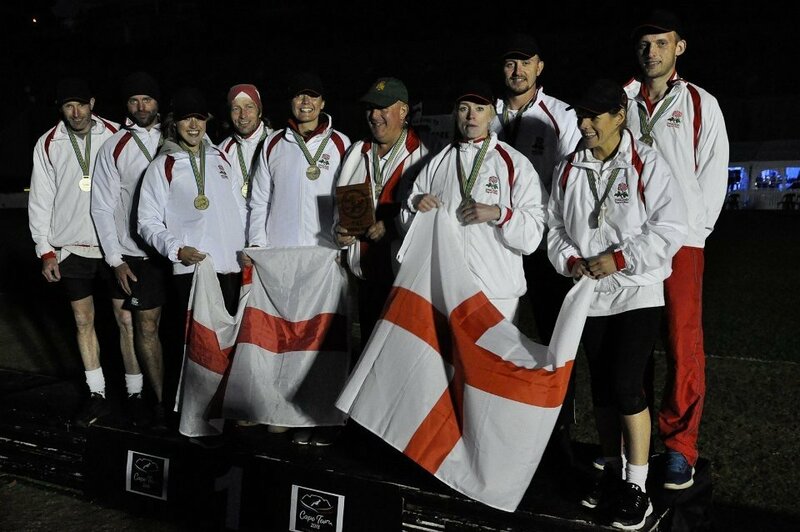 Following the 680kg, England gained a superb result in the mixed 580kg competition by winning gold, defeating Sweden in the final. In the afternoon, England finished 4th in the mens 560kg competition with a composite team and 5th in the ladies 500kg represented by Bedford Ladies. Well done to all of our teams on these excellent results! Today Felton Eccles competed in the open club competition in the 640kg competition. They were in a group containing perennial 640kg challengers Engelberg from Switzerland along with a number of good teams from the Netherlands. Felton battled hard to progress from the group, but unfortunately lost out on a place in the semi finals after losing their quarter final match against Okia. Team ACF entered two teams in the junior mixed 520kg and competed well with their A team finishing 9th, and their B team finishing 11th. More medals have come this afternoon in the open competition with two medals in the ladies 500kg with Kilroe Ladies taking silver after being defeated in the final by Ayrshire from Scotland. Bedford took bronze against Sins from Switzerland in a three end match which Bedford won 2 ends to 1. Huge congratulations to both teams! A brilliant first day for English clubs with a gold, silver and bronze medal in the bag! Kilroe have just taken gold in the mixed 580kg competition after defeating Eibergen from the Netherlands in the final. Kilroe were undefeated in the group stages and defeated another Dutch team Huere in the semi finals before defeating Eibergen. Congratulations! 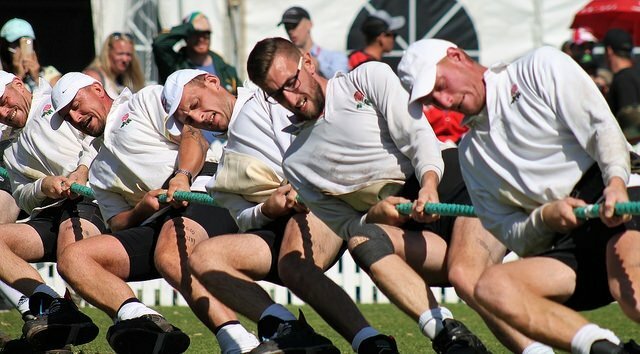 Over the next few days, the England tug of war teams will be heading out to the World Outdoor Tug of War Championships, which take place in Cape Town, South Africa on 19-22 September. England will be represented in the International Competitions in the mens 560, 640, 680 and 720 weight classes, as well as the ladies 500 and 540, the senior mixed 580, junior men 560, junior ladies 480 and junior mixed 520. Felton Eccles, Bedford Ladies, Kilroe Ladies, and Team ACF will also be competing in the open competition. England will be represented in the closed international competition by the above clubs as well as Lincoln, and other pullers from other teams who are travelling to the event as part of their squads. We would like to wish all of our teams and officials a safe journey and we wish everyone taking part the very best of luck. We understand that there will be live streaming from the event, so we will publish the link to the live streaming when it is made available. TWIF have recently updated their rules manual. You can find the updated rules manual via http://tugofwar-twif.org/2016/08/05/rules/. Any teams traveling to compete at the World Championships in South Africa later this month are reminded to familiarise themselves with the rules, in particular the recent rule changes regarding protective clothing / belts and boot composition. 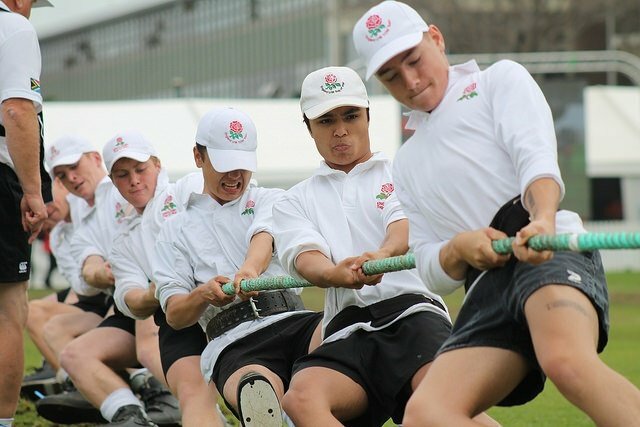 English teams recently took part in the GENSB youth international tug of war tournament in Germany. Club ACF fielded two teams at the 21st annual GENSB tournament held in picturesque Mohnesee. Once again there was a good entry of 31 teams, who were divided into four groups. The top sixteen teams then went through to the knock out stage. Switzerland were well represented with three teams reaching the semi-finals and Stans-Oberdorf (Switzerland) emerging as dominant winners defeating TTV Powerrangers 1 (Belgium) in the final, which was judged by our own Gavin Corden. In total eight countries were represented at the event (Belgium, England, Germany, Ireland, Netherlands, Sweden, Switzerland and Wales). Team ACF 2 pulled well in the group stage gaining 16 points and finishing in second place behind last years’ winner Waldkirch 1. To gain their second place Team ACF 2 defeated: Eire Og 1 (Ireland), TTT Het Loggertje (Netherlands), Dutch Mix (Netherlands), TZFr. Dietenbach (Germany), TTV Powerrangers 2 (Belgium). Club ACF 2 shared the points with Mosnang (Switzerland) and lost to Waldkirch 1 (Switzerland). Club ACF 2 could not maintain their good run of form and were defeated by Loftadalen DK (Sweden) in the round of 16 and finished overall in 11th place. Club ACF 1 unfortunately, had a far more difficult day, but did gain a vast amount of experience throughout the whole competition. In addition to Gavin Corden, England were also represented by Dave Kitchener and Ian Grant in the pool of judges. 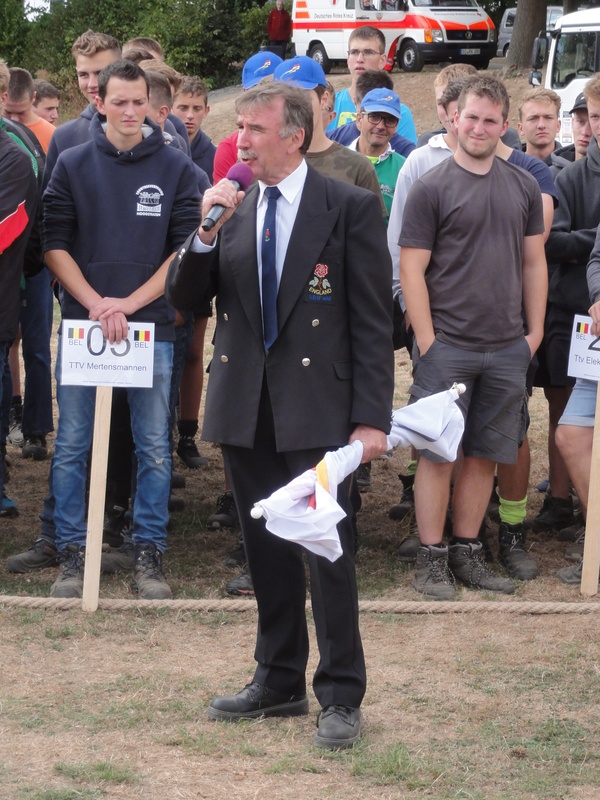 At the end of the competition the GENSB flag was lowered and passed to the Chairman of the English Tug of War Association, Pete Dyer, who invited all those present to next year’s tournament to be held in Folkestone, England. The following day, before our long coach drive to Calais, we visited the Mohne Dam. This trip was made all the more significant with 2018 being the 100th Anniversary of the RAF. It was also a time to reflect on the casualties and loss of life on both sides of the conflict, as a result of the historic bombing of the Mohne Dam in 1943. The British and Irish Tug of War Championships took place over the weekend with two days of competition being held at Wyboston Lakes near St Neots, Bedfordshire. The first day of competition saw A and B teams from each of the 5 nations of England, Scotland, Wales, Northern Ireland and the Republic of Ireland battling it out in various weight divisions for mens teams, ladies teams and junior teams. This event turned out to be one of the most competitive British and Irish Championships for a number of years, with no one nation dominating the overall results on the day. The event saw England, Ireland, Scotland and Wales all come away with at least one gold medal. England and Wales got 3 gold medals each, with Scotland and Ireland also winning a gold medal each. This was one of the best attended British and Irish Championships for a number of years with over 500 competitors taking part. The Sunday saw the club competitions taking place, where there was again some exceptionally close competition. It is a long time since we have had a British and Irish Championships / UK Championships as fiercely competitive as this one and it was a great spectacle for all of the spectators who came along to cheer their teams on the day. Competitions like this are won on fine margins, and all of the eventual gold medallists were very worthy winners. 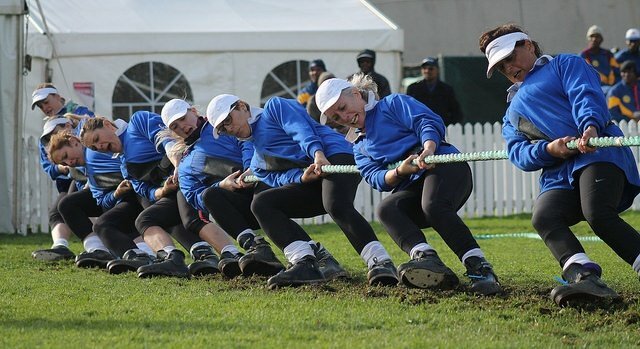 The next big event that teams are looking forward to is the World Tug of War Championships which are taking place in South Africa in September and we wish everyone travelling to that event representing England the very best of luck. As a final note, we must extend a vote of thanks to TOWA Secretary Mick Copper for co-ordinating and doing a huge amount of work with the staff at Wyboston Lakes to put this on, to Jamie Dewsbury for sponsoring the arena barriers, to Area 5 for supplying the tentage, and once again to Heather Grimston for running the raffle, the funds from which go a long way towards helping to cover the cost of staging these types of events. Of course a huge vote of thanks goes to all of the teams who took part, many of who travel significant distances to train and compete, and to the officials and marshalls who officiate at these events. Videos from most of the finals that took place are available on our Facebook page.